Pollsters offered some more glum news for Democrats on Monday night: Republicans have their biggest lead ever on the question of which party voters would support for Congress. Gallup's "generic ballot" - a staple of election prognostication - shows Republicans with a double-digit advantage. In the latest Gallup polling, 51 percent of registered voters say they would vote for the GOP candidate in their district if the election were held today; 41 percent say they would support the Democrat. That represents the biggest such lead for the Republicans in Gallup polls back to 1942, and it marks the fourth straight week they have had the edge on the Democrats, who are seeking to retain control of the House and Senate. Before this year, the largest-ever GOP lead in Gallup polls was five points. That occurred in 1994 and 2002, both years in which Republicans picked up significant numbers of congressional seats. If history holds, this Republican advantage will increase once Gallup and other pollsters switch to measuring likely voters from registered to vote. Election analysts typically narrow their focus as Election Day nears to those most likely to vote, and registered Republicans are often more likely to vote than those who are signed up as Democrats. Democrats have led on the Gallup generic ballot this year, and might again as voters start to pay closer attention to the campaigns after Labor Day - the traditional start of the election homestretch. The typical worker in Washington State must put in more than two-thirds of the year — 241 days — to pay his or her share of the expenses of all levels — local, state and federal — government. Those 241 work days include funding all the various regulatory burdens as well. According to Americans for Tax Reform, August 29, is the day this year the average Washingtonian stopped working to fund the enormous cost government. Because of Washington’s excessive amount of taxation and regulation, Cost of Government Day (COGD) is actually 10 days later than the national date of August 19. That has also given the state the dubious distinction of dropping one spot from last year— to 46th place — the fifth latest in the country. Olympia has abandoned the Priorities of Government approach to budgeting in favor of the tax-and-spend method, so our state’s poor showing shouldn’t come as a surprise. However, being in perpetual crisis mode means taxpayers always end up paying the price, as we saw last year when the Legislature approved $552 million in new taxes and fees. The cost of state government has been far outpacing inflation and population growth, with the reason for the increase resting firmly on the shoulders of the Democratically-controlled state legislature, which even in this floundering economy, thought it was a great idea to increase total state spending again this year. Total state spending this biennium increased $4.2 billion, to is $72.7 billion — compared to $68.5 billion in the 2007-09 biennium. Has the tax and spend approach, coupled with the onerous explosion in taxes, fees, spending, and regulations worked for Washington? Not exactly. Next year’s state budget deficit is estimated at $3 billion — and growing —and is estimated to end up being closer to $4 or $5 billion. So when will next year’s Cost of Government Day fall? It’s probably too soon to tell, but November’s vote on Initiative 1098 — the proposed state income tax on “high earners” — could be an interesting indicator. According to the Governor’s budget office, the proposed income tax would bring in more than $11 billion over five years, starting in 2012. However, not only would I-1098 raise taxes on “the rich,” but estimates by the Office of Financial Management indicate implementing an income tax would cost $50 million a year or more, and create a costly new bureaucracy — meaning more than 500 new state employees in addition to the 8,000+ new ones already hired under Governor Christine Gregoire. WASHINGTON — The Internet has allowed tens of millions of Americans to be published writers. But it also has led to a surge in lawsuits from those who say they were hurt, defamed or threatened by what they read, according to groups that track media lawsuits. "It was probably inevitable, but we have seen a steady growth in litigation over content on the Internet," said Sandra Baron, executive director of the Media Law Resource Center in New York. While bloggers may have a free-speech right to say what they want online, courts have found they are not protected from lawsuits, even if comments are anonymous. Some postings have led to criminal charges. Hal Turner, a right-wing blogger from New Jersey, faces up to 10 years in prison for posting a comment that three Chicago judges "deserve to be killed" for having rejected a Second Amendment challenge to the city's handgun ban in 2009. Turner, who also ran a Web-based radio show, believed it "was political trash talk," his lawyer said. But a jury in Brooklyn, N.Y., this month convicted him of threatening the lives of the judges on the 7th U.S. Circuit Court of Appeals. In western Pennsylvania, a judge recently ruled a community website must identify the Internet address of individuals who posted comments calling a township official a "jerk" who put money from the taxpayers in "his pocket." The official also owned a used-car dealership, and one commenter called his cars "junk." The official sued for defamation, saying the comments were false and damaged his reputation. In April, a North Carolina county official won a similar ruling after anonymous bloggers on a local website called him a slumlord. "Most people have no idea of the liability they face when they publish something online," said Eric Goldman, who teaches Internet law at Santa Clara University in California. "A whole new generation can publish now, but they don't understand the legal dangers they could face. People are shocked to learn they can be sued for posting something that says, 'My dentist stinks.' "
Under federal law, websites generally are not liable for outsiders' comments. However, they can be forced to reveal the poster's identity if the post includes false information presented as fact. Calling someone a "jerk" and a "buffoon" may be safe from a lawsuit because it states an opinion. Saying he wrongly "pocketed" public money could lead to a defamation claim because it asserts something as a fact. Seattletimes.com, like many news websites, promises to safeguard the privacy of users — including those submitting comments — by not releasing personally identifiable information to third parties. But The Seattle Times makes exceptions when public safety is at stake or when compelled to disclose user identities by law-enforcement authorities. The Supreme Court has said the First Amendment's protection for freedom of speech includes the right to publish "anonymous" pamphlets. But judges have been saying that online speakers do not always have a right to remain anonymous. The 9th U.S. Circuit Court of Appeals last month upheld a Nevada judge's order requiring disclosure of the identities of three people accused of conducting an "Internet smear campaign via anonymous postings" against Quixtar, successor to the well-known Amway. "The right to speak, whether anonymously or otherwise, is not unlimited," Judge Margaret McKeown wrote. Quixtar had sued, contending the postings were damaging to its business. The judge who first ordered the disclosure said the Internet had "great potential for irresponsible, malicious and harmful communication." Moreover, the "speed and power of Internet technology makes it difficult for the truth to 'catch up to the lie,' " he wrote. Media-law experts say such lawsuits are hard to track because many arise from local disputes and rarely result in large verdicts or lengthy appeals. Goldman, the Santa Clara professor, describes these cases as the "thin-skinned plaintiff versus the griper." They begin with someone who goes online to complain, perhaps about a restaurant, a contractor, a store, a former boss or a public official. One person's complaint sometimes prompts others to vent with even sharper, harsher complaints. "There's a false sense of safety on the Internet," said Kimberley Isbell, a lawyer for the Citizen Media Law Project at Harvard University. "If you think you can be anonymous, you may not exercise the same judgment" before posting a comment, she said. Not surprisingly, the target of online complaints may believe he or she has no choice but to take legal action. "These can be life-changing lawsuits," Goldman said. "They can go on for years and cost enormous amounts in legal fees." He is particularly concerned about teenagers and what they post online. "Teenagers do what you might expect: They say things they shouldn't say. They do stupid things," he said. "We don't have a legal standard for defamation that excuses kids." Media-law experts repeat the advice that bloggers and e-mailers need to think twice before sending a message. "Before you speak ill of anyone online," Baron said, "you should think hard before pressing the 'send' button." While I didn’t vote for him, I admired Clint Didier’s election night comment when asked if after losing, he’d support Dino Rossi. He answered, that when he played football for the Washington Redskins, fans had a saying, “I’m rooting for the Redskins, and whoever is playing the Dallas Cowboys.” Didier said he felt the same way about the Republicans and Patty Murray. I lost all respect for Didier when he hypocritically tried to blackmail Rossi into agreeing to certain conditions to secure his endorsement — and supposedly the votes of his supporters. Does that mean Didier’s supporters will vote for Patty Murray — or not vote at all — if Rossi doesn’t agree? The bottom line — in football terms — is that you don't get to call the plays after you lose the Super Bowl. In my view that kind of crap is exactly why the Republicans can’t win an election. Enough of them believe it's more important to win an argument that's relatively unimportant in the overall, "big picture" scheme of things, than it is to win an election. Should Blog Posters Have To Use Their Real Names? I've been wondering why our local daily newspaper allows people to comment on online stories and blog posts using pseudonyms - nicknames and false identities (and I suspect some use more than one), while absolutely requiring a verifiable name, address and phone number to have a Letter to the Editor published. Is there a difference between these, except for the immediacy of the media, that I'm missing? Many of those posters usually don't allow actual facts to get in the way of their “informed” opinions. The vitriolic comments from the story about the twin towers beams arriving in Silverdale are typical, with conversation quickly degenerating into cheap shot insults between posters. In my view, if these gutless wonders had to actually identify themselves, the level of discourse would be elevated to a much more civil level. The last few weeks have been a nightmare for President Obama, in a summer of discontent in the United States which has deeply unsettled the ruling liberal elites, so much so that even the Left has begun to turn against the White House. While the anti-establishment Tea Party movement has gained significant ground and is now a rising and powerful political force to be reckoned with, many of the president’s own supporters as well as independents are rapidly losing faith in Barack Obama, with open warfare breaking out between the White House and the left-wing of the Democratic Party. While conservatism in America grows stronger by the day, the forces of liberalism are growing increasingly weaker and divided. Against this backdrop, the president’s approval ratings have been sliding dramatically all summer, with the latest Rasmussen Daily Presidential Tracking Poll of US voters dropping to minus 22 points, the lowest point so far for Barack Obama since taking office. While just 24 per cent of American voters strongly approve of the president’s job performance, almost twice that number, 46 per cent, strongly disapprove. According to Rasmussen, 65 per cent of voters believe the United States is going down the wrong track, including 70 per cent of independents. The RealClearPolitics average of polls now has President Obama at over 50 per cent disapproval, a remarkably high figure for a president just 18 months into his first term. Strikingly, the latest USA Today/Gallup survey has the President on just 41 per cent approval, with 53 per cent disapproving. There are an array of reasons behind the stunning decline and political fall of President Obama, chief among them fears over the current state of the US economy, with widespread concern over high levels of unemployment, the unstable housing market, and above all the towering budget deficit. Americans are increasingly rejecting President Obama’s big government solutions to America’s economic woes, which many fear will lead to the United States sharing the same fate as Greece. On the national security and foreign policy front, President Obama has not fared any better. His leadership on the war in Afghanistan has been confused and at times lacking in conviction, and seemingly dictated by domestic political priorities rather than military and strategic goals. His overall foreign policy has been an appalling mess, with his flawed strategy of engagement of hostile regimes spectacularly backfiring. And as for the War on Terror, his administration has not even acknowledged it is fighting one. Can it get any worse for President Obama? 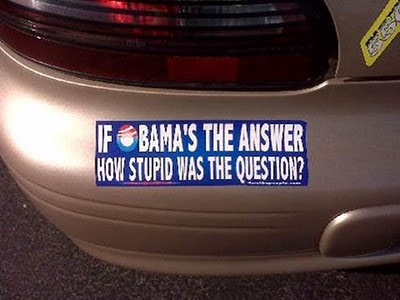 Undoubtedly yes. Here are 10 key reasons why the Obama presidency is in serious trouble, and why its prospects are unlikely to improve between now and the November mid-terms. In a previous post I noted how the Obama presidency increasingly resembles a modern-day Ancien Régime, extravagant, decaying and out of touch with ordinary Americans. The First Lady’s ill-conceived trip to Spain at a time of widespread economic hardship was symbolic of a White House that barely gives a second thought to public opinion on many issues, and frequently projects a distinctly elitist image. The “let them eat cake” approach didn’t play well over two centuries ago, and it won’t succeed today. The Congressional Budget Office Long-Term Budget Outlook offers a frightening picture of the scale of America’s national debt. Under its alternative fiscal scenario, the CBO projects that US debt could rise to 87 percent of GDP by 2020, 109 percent by 2025, and 185 percent in 2035. While much of Europe, led by Britain and Germany, are aggressively cutting their deficits, the Obama administration is actively growing America’s debt, and has no plan in place to avert a looming Greek-style financial crisis. The relentless emphasis on bailouts and stimulus spending has done little to spur economic growth or create jobs, but has greatly advanced the power of the federal government in America. This is not an approach that is proving popular with the American public, and even most European governments have long ditched this tax and spend approach to saving their own economies. While much of the spilled oil in the Gulf has now been thankfully cleared up, the political damage for the White House will be long-lasting. Instead of showing real leadership on the matter by acing decisively and drawing upon offers of international support, the Obama administration settled on a more convenient strategy of relentlessly bashing an Anglo-American company while largely sitting on its hands. Significantly, a poll of Louisiana voters gave George W. Bush higher marks for his handling of the aftermath of Hurricane Katrina, with 62 percent disapproving of Obama’s performance on the Gulf oil spill. From the wars in Afghanistan and Iraq to the War on Terror, President Obama’s leadership has often been muddled and confused. On Afghanistan he rightly sent tens of thousands of additional troops to the battlefield. At the same time however he bizarrely announced a timetable for the withdrawal of US forces beginning in July 2011, handing the initiative to the Taliban. On Iraq he has announced an end to combat operations and the withdrawal of all but 50,000 troops despite a recent upsurge in terrorist violence and political instability, and without the Iraqi military and police ready to take over. In addition he has ditched the concept of a War on Terror, replacing it with an Overseas Contingency Operation, hardly the right message to send in the midst of a long-war against Al-Qaeda. Barack Obama has made it clear that he doesn’t believe in American exceptionalism, and has made apologising for his country into an art form. In a speech to the United Nations last September he stated that “no one nation can or should try to dominate another nation. No world order that elevates one nation or group of people over another will succeed. No balance of power among nations will hold.” It is difficult to see how a US president who holds these views and does not even accept America’s greatness in history can actually lead the world’s only superpower with force and conviction. This, combined with weak leadership both at home and abroad against the backdrop of tremendous economic uncertainty in an increasingly dangerous world, has contributed to a spectacular political collapse for a president once thought to be invincible. America at its core remains a deeply conservative nation, which cherishes its traditions and founding principles. President Obama is increasingly out of step with the American people, by advancing policies that undermine the United States as a global power, while undercutting America’s deep-seated love for freedom. If you consider that there has been an average of 160,000 troops in the Iraq theater of operations during the past 22 months, and a total of 2112 deaths, that gives a firearm death rate of 60 per 100,000 soldiers. The firearm death rate in Washington, D.C. is 80.6 per 100,000 for the same period. That means you are about 25 percent more likely to be shot and killed in the U.S. capital which has some of the strictest gun control laws in the US than you are in Iraq. CONCLUSION: The US should pull out of Washington. How did Thomas Jefferson Know? 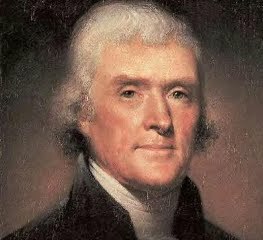 Thomas Jefferson said in 1802, "I believe that banking institutions are more dangerous to our liberties than standing armies. If the American people ever allow private banks to control the issue of their currency, first by inflation, then by deflation, the banks and corporations that will grow up around the banks will deprive the people of all property - until their children wake-up homeless on the continent their fathers conquered. Also, I've never been a fan of the band KISS, but this is a great tribute to our troops. It was filmed on a Marine base in Iraq during a USO tour.